President Saakashvili said on June 23 that arms caches, which the Interior Ministry says it found in Samegrelo region, were in fact those secret storages which he instructed to create after the August, 2008 war as part of a broader defensive plan in case of resumption of aggression against the country. This prompted some talk about an impeachement of the Georgian President and Prime Minister Ivanishvili mentioned the possibility of an arrest following October's presidential election, when Mikheil Saakashvili will leave office after his second term as President. The struggle is apparently taking its toll on the Prime Minister and Ivanishvili announced his plans to leave after the next election as well. But until then, he is debunking the claim of being a Russian puppet. During this week's visit of NATO's senior political governing body, the North Atlantic Council, Georgian PM Ivanishvili reinforced that "joining NATO as soon as possible" is a priority for his country. 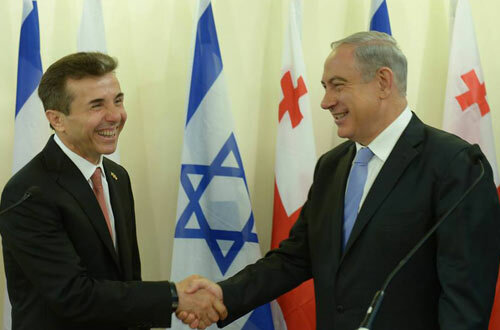 "Today vital topics are the preservation of peace and the fight against terrorism, and the experience of Israel in this area are very important for Georgia, and we intend to cooperate in this field," Ivanishvili said. Israeli PM Netanyahu emphasized the great relations between the two countries and expressed his desire to "to expand this relationship in every way". A new Institute of the International Monetary Fund (IMF) training course has started in Georgia. The event was officially launched by the Minister of Finance Nodar Khaduri and IMF resident representative in Georgia Azim Sadykov. The seminar is attended by representatives of the Ministries of Finance of Azerbaijan, Turkey, Tajikistan, Armenia, Kazakhstan, Kyrgyzstan, Turkmenistan, Uzbekistan, as well as officials of the Ministries of Finance and Economy of Georgia, the National Bank and the Statistics Service of Georgia. Georgia's neighbour Azerbaijan is reaching out to Turkey, Kazakhstan and Kyrgyzstan as well. Recently Baku hosted a forum of the heads of Diasporas of Turkic states, which was seen as an important step towards the "unification of the Turkic world". Minister Mammadyarov noted that the two countries enjoy high level political dialogue and there is a need for the advancement of bilateral cooperation across other areas such as trade, tourism and economic cooperation. It is reported that he is an active member of the "Jamaat Islami" terrorist group. In the mid-2000s, carrying out a task set by Chechen field commanders, Ilnur Akhmetshin arranged an explosion at an oil pipeline in the Volga region and then hid from justice under eight different names. "For comparison, I can say that our military budget was $163 million in 2003, while it reached $3.6 billion last year. This year, it reached $3.7 billion. This shows that army building is a priority issue. The biggest spending of our budget falls to the army and it is natural. We have purchased the most modern equipment in past years." "For comparison, I can say that the entire budget of Armenia is about $2 billion. What it means is that Azerbaijan's spending on military purposes is twice as big as all of Armenia's expenditure. 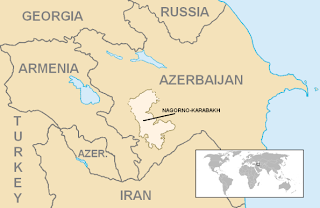 Strong Azerbaijan can speak with weak Armenia in any language. 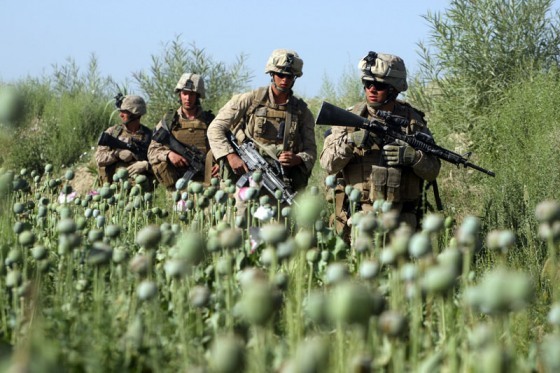 We give preference to negotiations just to maintain stability in the region," he said. Aliyev's justification for the high defense spending is arch enemy Armenia, where three suspected Azerbaijani spies were arrested lately. 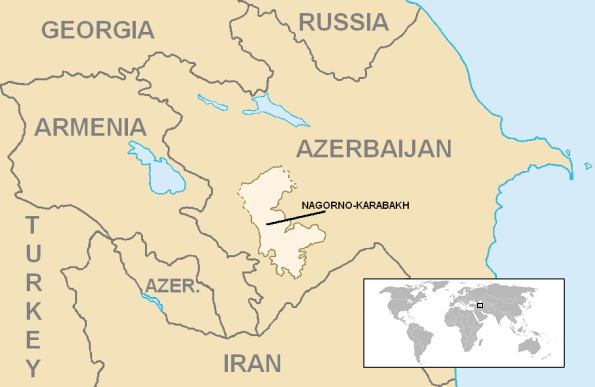 The two neighbouring countries have been in conflict over the disputed region Nagorno-Karabakh for two decades. Moscow is supporting its CSTO partner and recently deployed several Iskander-M systems to Armenia amid deteriorating relations with Baku. However, not everybody in Russia is bothered by Azerbaijan's leader and his confrontation policy with the Kremlin. The President of Russian oil giant LUKOIL, Vagit Alekperov, the other day expressed his full support for Ilham Aliyev. But mabye there is a connection between this statement and LUKOIL's negotiations with the State Oil Company of the Azerbaijan Republic (SOCAR) about new projects. Austrian energy company OMV has announced that the consortium developing Azerbaijan's Shah Deniz-2 natural-gas and oil field has rejected using the proposed multibillion-dollar Nabucco West pipeline. The decision means it's likely the shorter and cheaper Trans-Adriatic Pipeline (TAP) will be used to carry the gas extracted from under the Caspian Sea to the European market. The Southern gas corridor: who stands where? The reason why the European potential buyers are now able to negotiate such a low price with the consortium is that they have strong bargaining chip - thanks to Gazprom. During last six months Gazprom did two rounds of an impressive discount for its European customers and also have been renegotiating the price setting mechanism - for instance agreeing to increase the percentage of the hub price indexation to the LTCs. For the countries in the TAP pipeline – Greece got 12% discount (current LTC will be expiring in 2016 already; negotiations on contract extension are ongoing), Italy 11%. All the Balkan countries got from 12 to 24% discount for Russian gas. Interestingly, Gazprom has publicized all figures of discount and gas price for its customers in Europe in January of 2013. “It is the first significant success of investment cooperation between Russia and the United Arab Emirates, and it is important that the Russian infrastructure is among key investment targets of this fund,” Putin said on Thursday at a business dinner with heads of the world’s leading infrastructure funds. 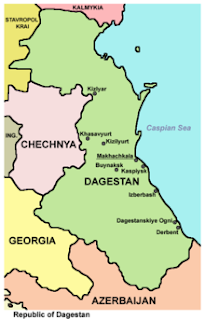 Lawmakers in Dagestan, a restive republic in Russia’s North Caucasus, support granting amnesty to rebel insurgents who return to a peaceful way of life, members of the local parliament told RIA Novosti on Tuesday. The Dagestani Interior Ministry will purchase Eyeball R1s of ODF Optronik (Israel) for 295,000 rubles that can be thrown into buildings to spy on militants occupying them, Izvestia reports. Afghanistan's role as the world's largest opium producer was once again confirmed by the new UN drug report and it is not hard to figure out who the biggest profiteers are. The pledge came in a communique released after a one-day meeting of defense department leaders of China, Kazakhstan, Kyrgyzstan, Russia, Tajikistan,and Uzbekistan here. According to the communique, the SCO defense chiefs also agreed to strengthen cooperation in crushing separatism, extremism, and drug-trafficking based on their share of responsibilities. Seventeen people had been killed -- including nine policemen or security guards and eight civilians -- before police opened fire and shot dead 10 rioters, the officials said on condition of anonymity. The Lukchun incident came nearly a month after at least 12 Uyghurs were killed in a blast apparently triggered by explosive devices they were carrying while being pursued by police in Xinjiang's Aksu prefecture, local officials had told RFA. The group was killed when they were cornered by police after they eluded a house-to-house search by police in Ghorachol town in Awat county, local town official Adil Semet said. A week ago, authorities in Xinjiang sentenced 19 Uyghurs to jail for alleged crimes linked to "religious extremism", Chinese media reported. Rights groups said the sentences were meant to send a message to Uyghurs in the lead-up to the upcoming Urumqi violence anniversary. The terrorists, riding on motorcycles, used knives as weapons and attacked a local police station in the city's Moyu county, witnesses said. Local police quickly got the situation under control and are still searching for other suspects. That afternoon, some 200 unidentified people also attempted to incite trouble at a major shopping area in another part of the city. The situation was diffused quickly by local police with no casualties. Media outlets like Radio Free Europe/Radio Liberty (RFE/RL) and Radio Free Asia (RFA) are already spinning the story and trying to blame the Chinese government's "repression of Uyghurs" for the violence. Given the history of these two broadcasters, this is hardly surprising. RFE/RL was launched by an American anti-Communist organization called the National Committee for a Free Europe (NCFE). The CIA director responsible for Project MKUltra and Operation Mockingbird, Allen Dulles, founded NCFE. Early members of the organization included Dwight D. Eisenhower, Henry Luce and the U.S. expert for psychological warfare, C. D. Jackson. Although the Central Intelligence Agency officially stopped funding RFE/RL in 1972, it is still very much a CIA propaganda project. "Wherever we feel there is an ideological enemy, we're going to have a Radio Free Something," she says. Dalpino said she has reviewed scripts of Radio Free Asia's broadcasts and views the station's reporting as unbalanced. "They lean very heavily on reports by and about dissidents in exile. It doesn't sound like reporting about what's going on in a country. Often, it reads like a textbook on democracy, which is fine, but even to an American it's rather propagandistic." China strongly opposes claims by the United States that it has been discriminating against and imposing restrictions on Uygurs and Muslims, in the wake of a recent terror attack in the Xinjiang Uygur autonomous region. Recent riots in Xinjiang have probably less to do with Beijing's repression of Uyghurs than with NATO's Operation Gladio B and the United States' aim to establish a new state called East Turkestan within Chinese borders. Many foreign forces would like to see turbulence in Xinjiang, but those with a little analytical sense know this can hardly be reality. Unless China as a whole sinks into turmoil, Xinjiang will never be in a chaotic condition as a politically separate part of China.